A magical French island. A dead contestant. An aspiring baker must clear her name before she gets burned. Imogen Banks has dreamed her entire life of opening her own bakery in Seattle. But when she accidentally sets fire to her apartment and loses all her possessions, her dreams get toasted. Still coping with her loss, she receives a cryptic invitation she can't possibly refuse: entry into a mysterious baking competition on a beautiful French island. When Imogen realizes the island village is magical and the bake-off’s participants are witches and wizards, she’s not sure her fledgling powers will be enough to win the coveted contest. In the midst of trying to cast her very first spell, a competitor drops dead and Imogen finds the psychic judges' mystical fingers all pointing at her. Can Imogen unlock her own magic and stop the killer from coming back for seconds or will she jump straight from the frying pan and into the fire? 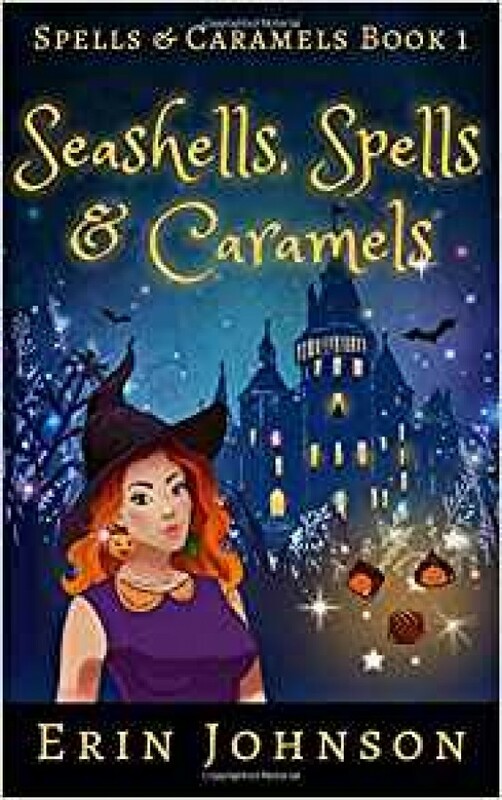 Seashells, Spells & Caramels is the first book in a charming paranormal cozy mystery series. If you like funny heroines, mysterious magical communities, and quirky conspiracies, then you’ll love Erin Johnson’s perfectly witchy recipe.